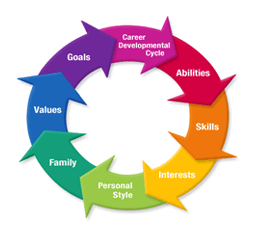 College-Career Specialists plan and implement a comprehensive career development program designed to assist all students, parents and staff in Pasco County High Schools. College-Career Specialists provide individual and group advisement to assist students in the career and academic exploration and career decision-making process. Career Specialists participate in ongoing professional development to ensure they are providing the most up to date and relevant information to students, parents, and staff regarding employment trends, college advisement, and career exploration.